It’s fair to say Toyota devised the concept of a ‘soft-roader’ back in 2003 when it released the first Kluger. 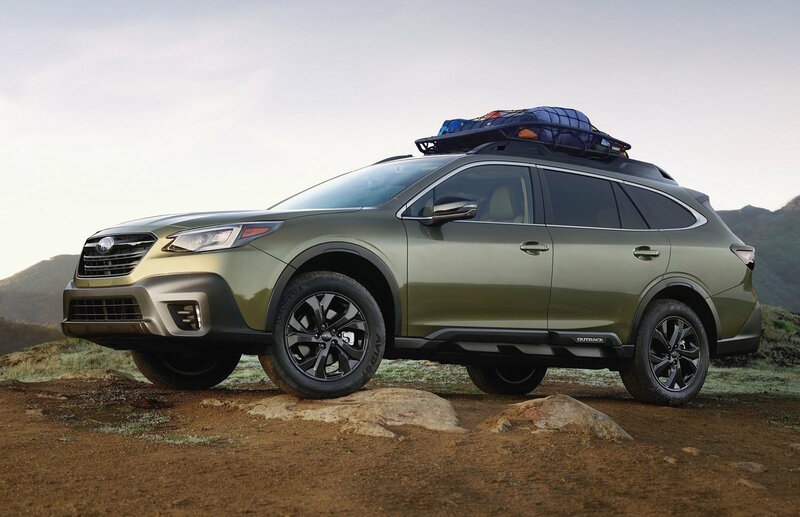 The idea was to have a vehicle you could comfortably taxi the family around every day, but could also venture away in some light off-roading on the weekend, without feeling like you’re driving a truck. 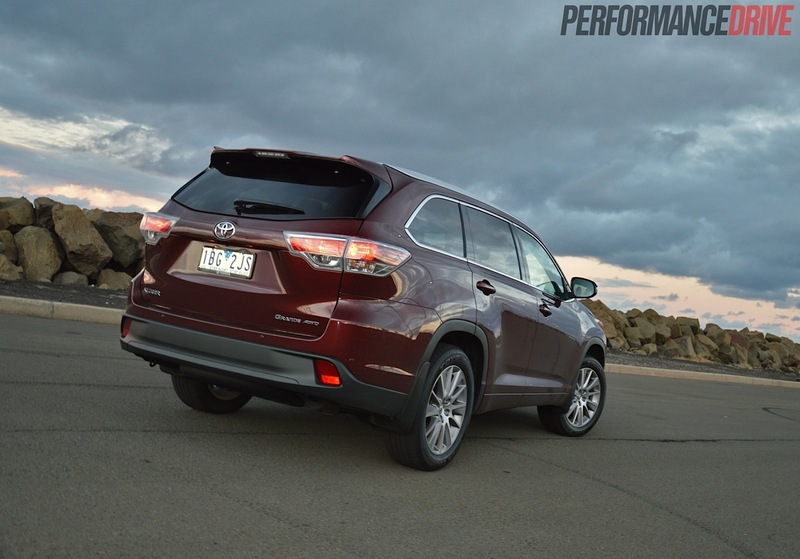 Now much larger in every dimension since 2003, the new 2014 Toyota Kluger has recoined the term ‘soft-roader’ to include style, technology, comfort, and safety for Australian family motoring. 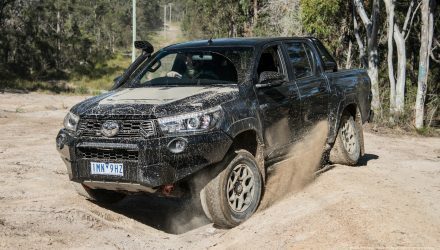 Toyota is arguably the best in the business when it comes to offering SUVs to the Australian market. Its range is one of the vastest around. The new Kluger sells itself as the largest ‘soft’ off-roader in the showroom; bigger than the RAV4, and not as rugged as the more off-road capable Prado and LandCruiser. With a price span of nearly $30,000, it shouldn’t be difficult to find a suitable match for you. There’s the base model GX, which starts at $40,990, then the GXL from $49,990, and the range-topping Grande from $63,520 (as tested). All are available in front-wheel drive or all-wheel drive formats (add $4000 for AWD). 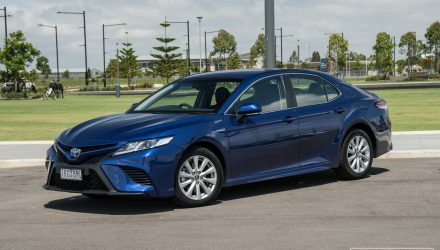 All models come with a revised six-speed electronically-controlled automatic transmission and a slightly updated 201kW/337Nm 3.5-litre V6 engine. Despite having a fairly high price tag, you do get a heap of technology with the Grande. You get Toyota’s ‘Pre-collision Safety System’ that actively brakes to avoid a collision, and Active Cruise Control. Both systems use a grille-mounted radar. There’s also lane departure alert and a blind spot monitor to help reduce the chances of an accident. 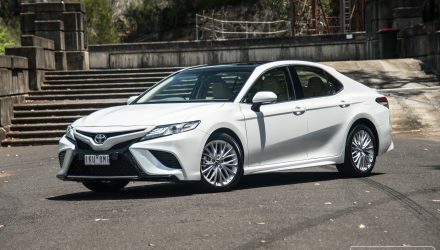 Add to that 19-inch wheels, projector LED headlamps with auto high beam, a tilt-and-slide sunroof, heated and cooled front seats, an eight-inch touch-screen display with navigation and DAB+ digital radio, a power-operated tailgate, wood grain highlights, and a full colour 4.2-inch multi-information instrument cluster display for the driver. 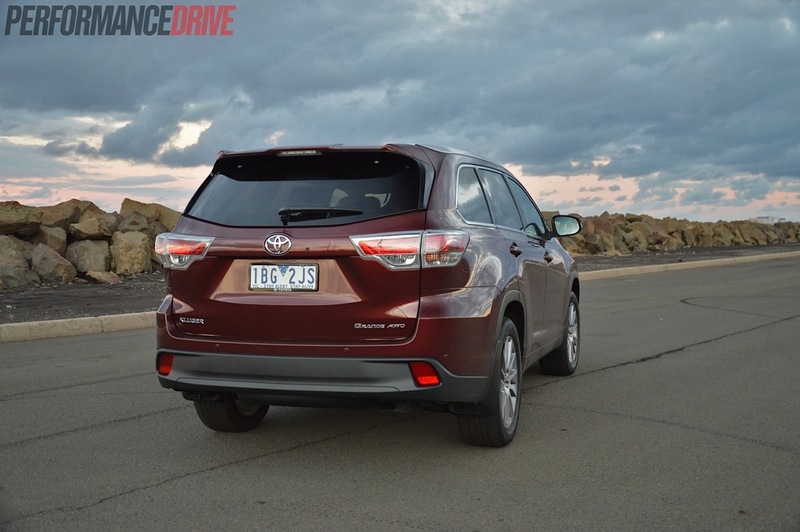 Unfortunately, the Kluger misses out on front parking sensors, which we think is odd considering this is a large family-oriented vehicle. 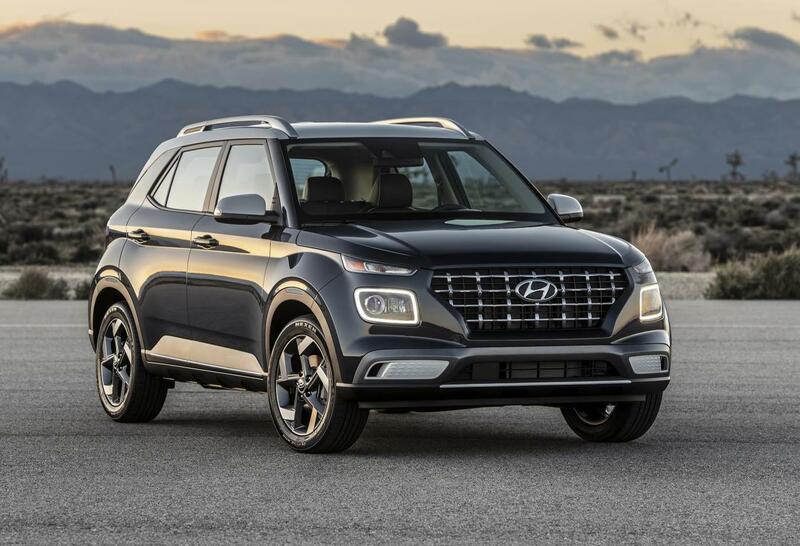 Among the exhaustive list of features, you also get a bigger vehicle than the predecessor. The overall length is 80mm longer, third row occupants now have 110mm more shoulder room and 83mm more hip room, and the access gap from the side doors has been widened by 70mm. With the third row set up, cargo space has grown by more than one-third to 195 litres – leaving about enough room to carry an overnight bag – which expands to 529 litres with the third row flat. 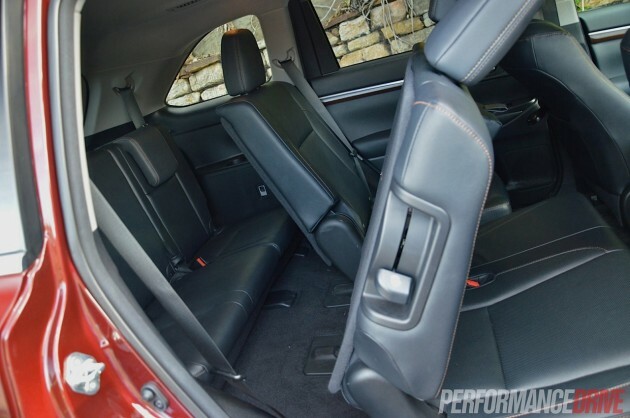 Maximum space is a huge 1171 litres to the window line with all rear seats folded down. 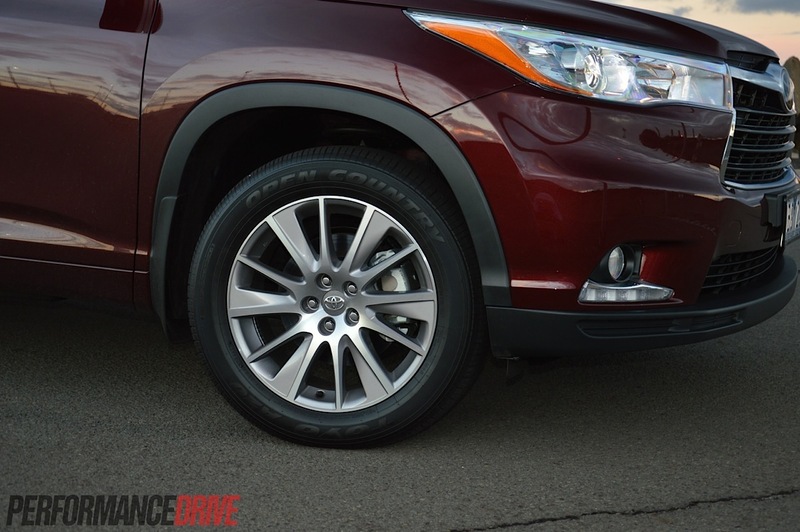 Measurements aside, we find the new Toyota Kluger more than comfortable and roomy in all dimensions. It’s huge, and perfect for growing Aussie families. 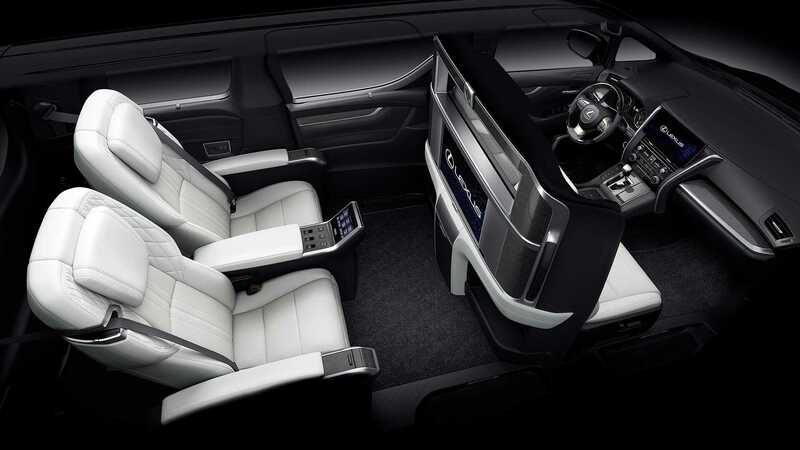 There’s even a massive 24.5-litre centre console that seems like you could hide your youngest child in. The electric tailgate effectively assists in getting all that family gear into the boot, though, the hollering alarm that sounds when in operation is loud enough to wake your local Neighbourhood Watch representative late at night. Another real winner for us is the elegant interior. Right from first glance you will be taken away by the family-friendly design and well thought out appearance. 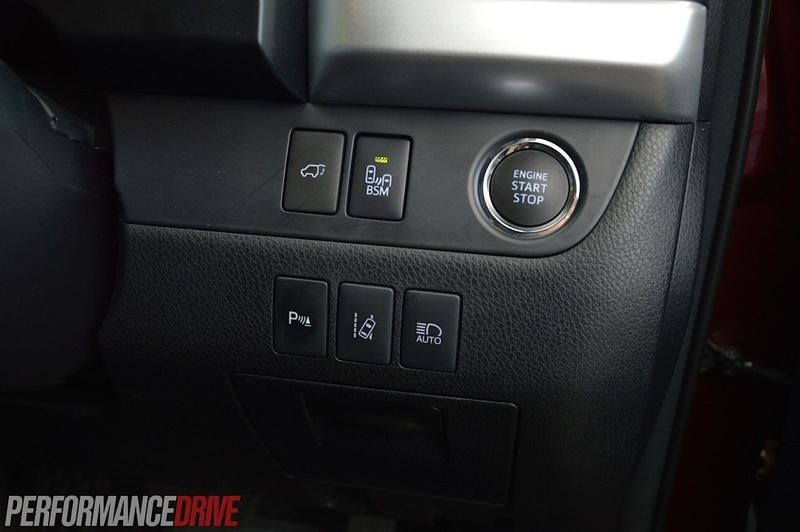 There is a handy non-slip shelf that contours across the dash from the steering wheel to the passenger-side door. And just so it doesn’t look too industrial, at night it is softly lit with a smooth blue moon lighting. 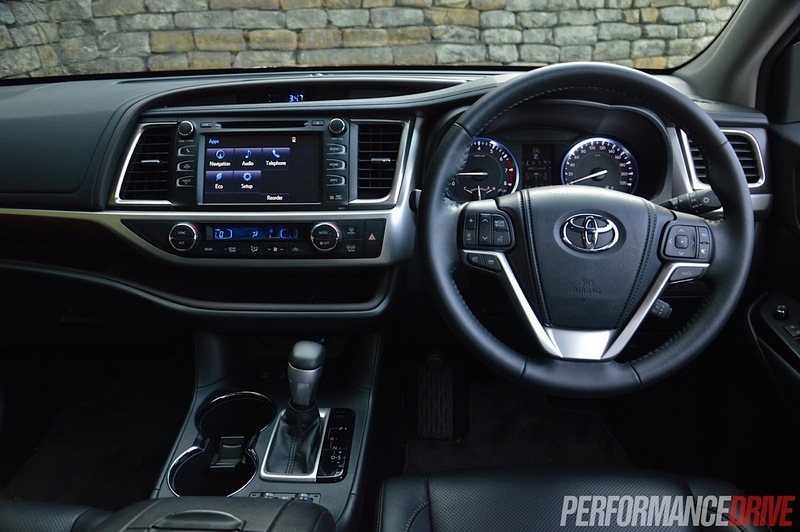 Likewise with the soft blue dash lights and instrument cluster; it’s all easy on the eye in typical Toyota fashion while maintaining an elegant ambience. 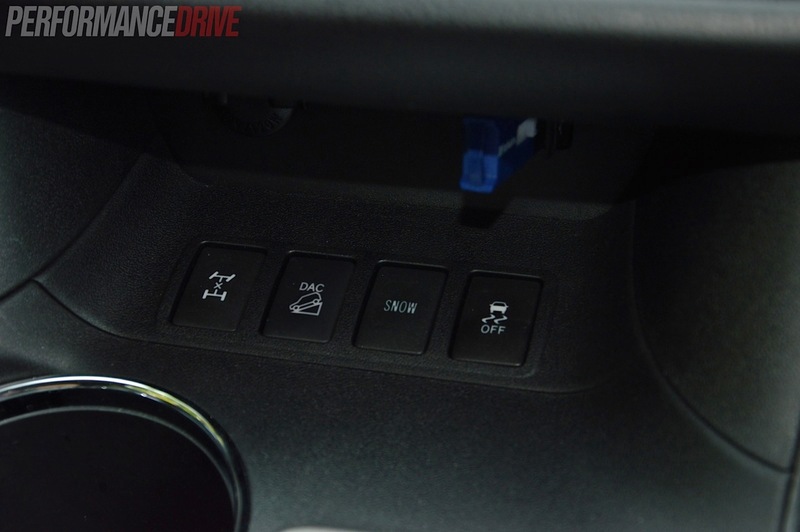 This elegant theme is felt down to minor attention to detail too, like the soft start/stop power windows. This is where, as you power the windows up or down, the motor slows at the beginning and end of movement for a smoother operation. This kind of function is usually only available via Toyota’s premium Lexus brand. 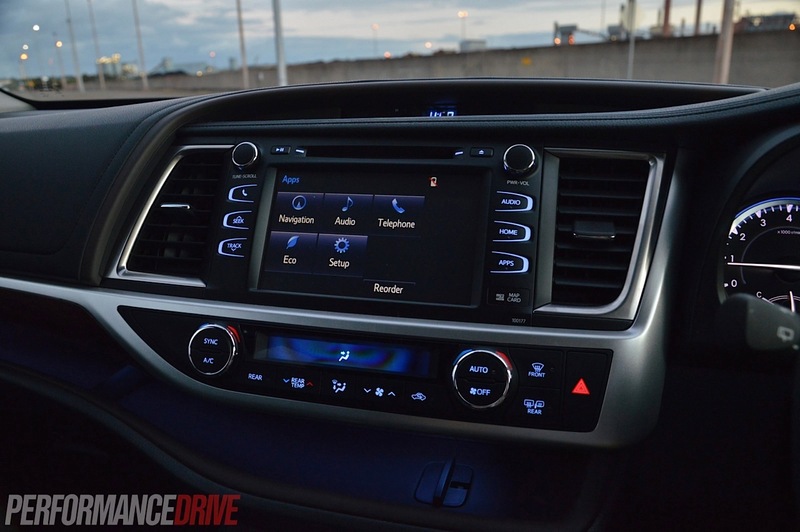 What we’re not a fan of is the main touch-screen infotainment unit. It features some menu buttons around the screen that aren’t really buttons; they don’t depress or click. This presents an issue as you tend to look at the button for longer and make sure the screen changes upon selection. It’s a similar story with the screen itself. It’s all touch operated. 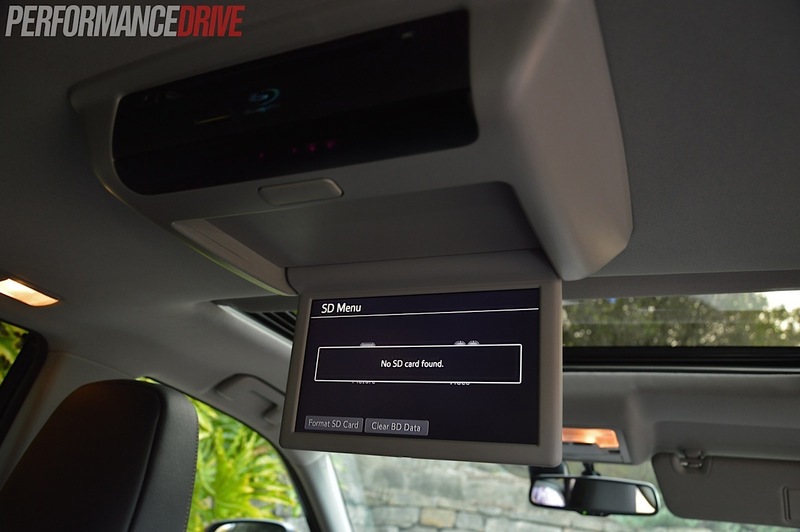 This is great in terms of gimmicky technology, but in a vehicle it needs a remote controller system like what is offered with Lexus vehicles – and many others. Having a controller or ‘joystick’ is the way to go in our opinion as it’s always in the same place, and has the same function, and you can feel its proximity with your fingers. This means more time is spent looking at the road. Whereas, with a touch-screen, the section you press changes the display, making it unintuitive for your next selection. Hence, you end up spending more time looking away from the road to double check what you’ve just selected. The system in the Kluger suffers delays as well, particularly when using the surrounding buttons. 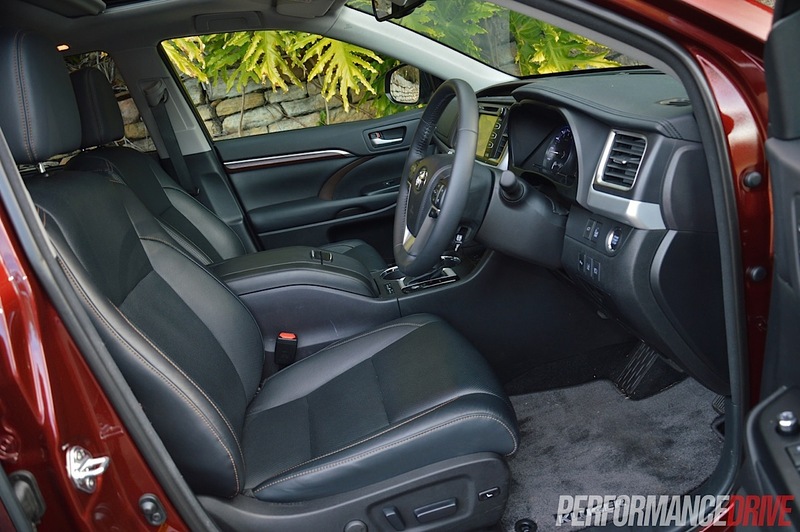 When it comes to the interior materials and plastics, they are noticeably high in quality. All surfaces that matter have a soft touch, and you can see the attention to detail in the stitching of the leather-wrapped surfaces and on the seats. Speaking of the seats, you’d think all five were stolen straight from the latest La-Z-Boy showroom. They’re supportive yet very soft, and large enough for big builds. The extra two in the boot are designed to be more space-efficient than comfortable, but you can actually sit in them. It’s best to leave those for the kiddies though, as intended, as legroom is fairly restricted. 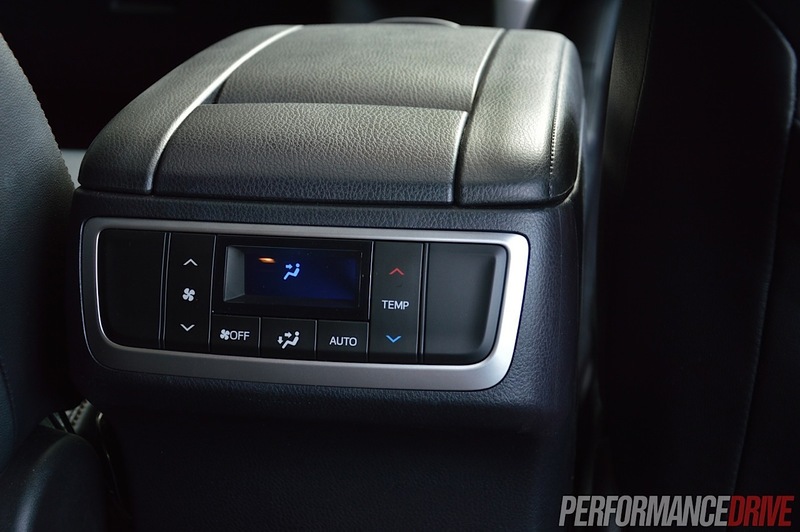 Adding to the comfort levels in the new Kluger Grande, there are air vents in every row with separate temperature and fan speed controls in the second row. There will be no more arguing with the family about temperatures. In the rear, you’ll also find thoughtful sun visors that pull up from inside the doors. 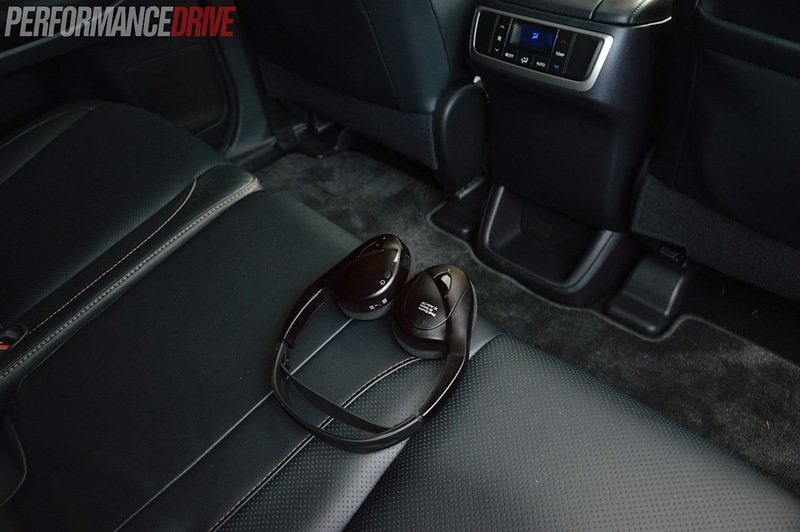 Then there is the nine-inch roof-mounted entertainment system that comes with its own headphones. Although it can be intrusive for an adult sitting in the second row centre seat, it’s a surefire way to keep the kids entertained on long trips. Exterior styling has had a major amendment over the previous model. Not only is the Kluger physically bigger, the design now conveys a larger ‘king of the road’ presence. 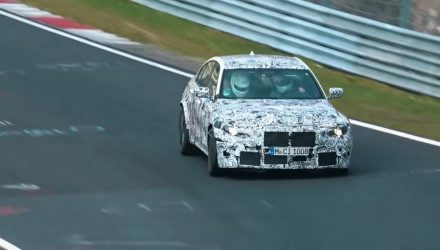 The front grill has been made taller to present a large-looking nose, and the wider headlights give off that stern and strong appeal. The rear lights are also much longer than in the previous model, jaggedly protruding outward. 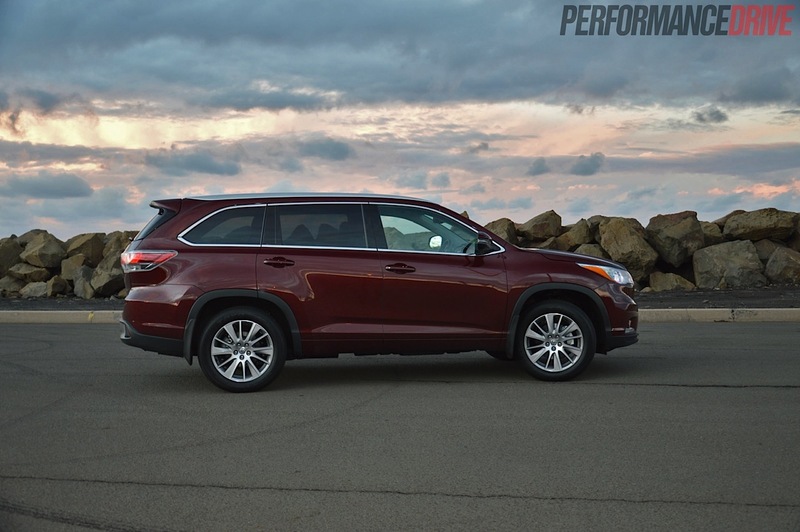 The new Toyota Kluger is beautifully refined on the road. Not only is it quiet and smooth, it also has a graceful character so you don’t feel like you’re wrestling a big 4×4. Importantly, you still get that sense of security from sitting up high above everyone else. Handling around corners almost feels like you’re driving a sedan. The higher centre of gravity isn’t felt until you really push it hard. 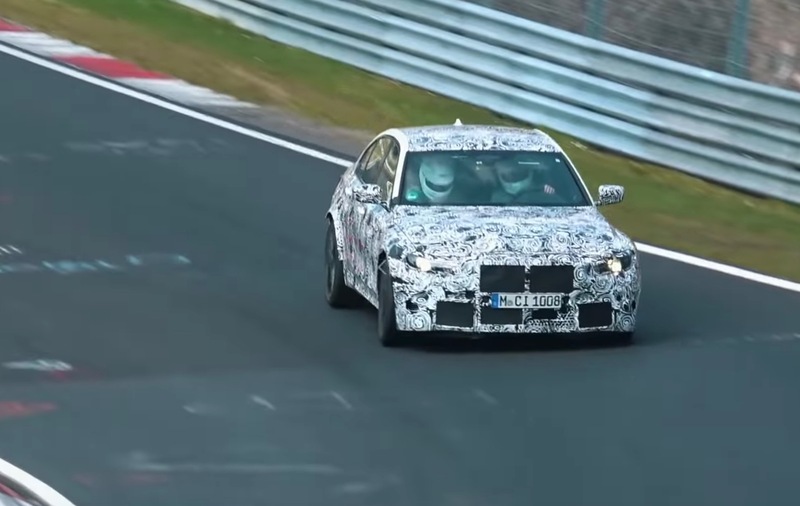 At this point, the rather bland steering does produce some kickback and the hefty weight (2065kg) becomes apparent. Body control is kept reasonably taut though for a huge vehicle. 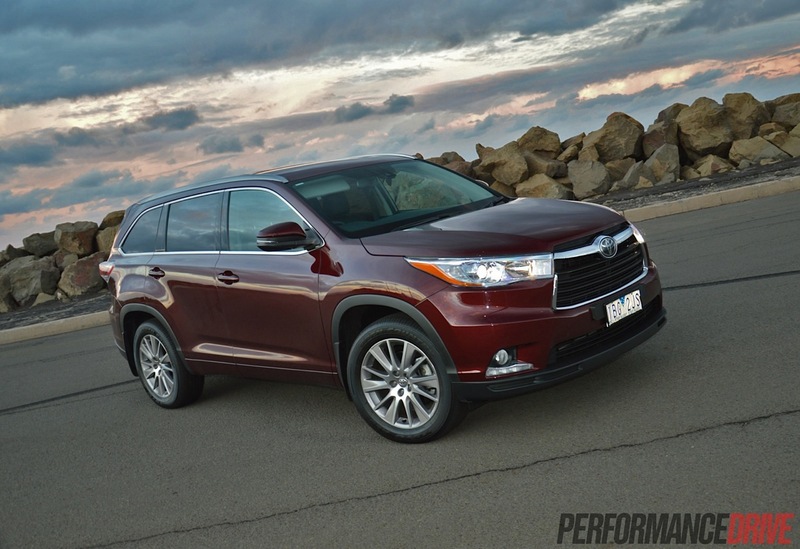 Toyota has done an exceptional job to keep the Kluger’s road manners at bay. Going over bumps and potholes isn’t a problem; it soaks up all that Australian roads have to offer in a composed and uninterrupted fashion. Getting things going is never an issue from the 3.5-litre V6. Access to the 201kW is immediate. 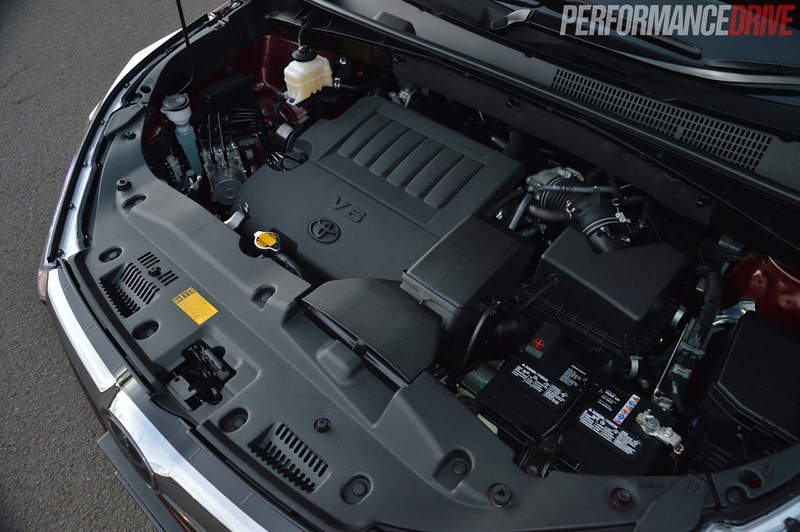 The engine really enjoys revving out and it seems like the transmission has been programmed to use the higher revs. When you take a look at that peak torque figure and the revs required to hit it (337Nm at 4700rpm), it all starts to make sense. In saying that, the engine is more than happy to surge without screaming its lungs out. Being such a large vehicle, 337Nm is a bit of a stretch when you have a full load on board and a steep incline ahead. 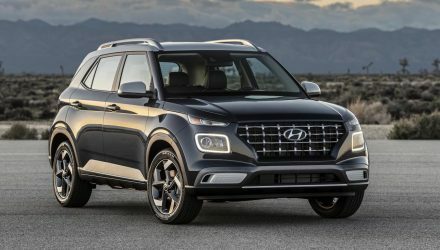 It gets the job done sufficiently, just not as effortlessly as other SUVs, especially turbo-diesel rivals that offer more low down torque. What really helps is the blissful six-speed transmission. We found it to be one of the most in-sync, unconfused, and smooth-shifting autos in the large SUV segment. It seems to have a sixth sense for knowing what gear to be in and how to optimise the relatively low torque figure of the engine. The hill descent downshifting also works wonders in steadying any sort of runaway freight train feeling. 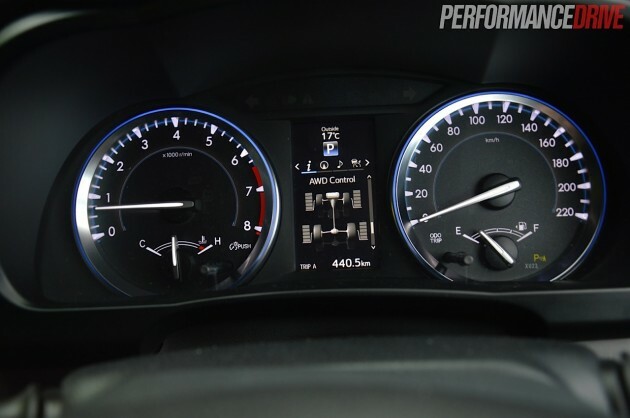 Fuel consumption is about what you’d expect from a large, naturally aspirated six-cylinder. Official figures read 10.6L/100km, but our heavy-footed driving returned 11.1L/100km. We were surprised though, that when you are heavy on the accelerator, the fuel consumption doesn’t become as outrageous as you might think. 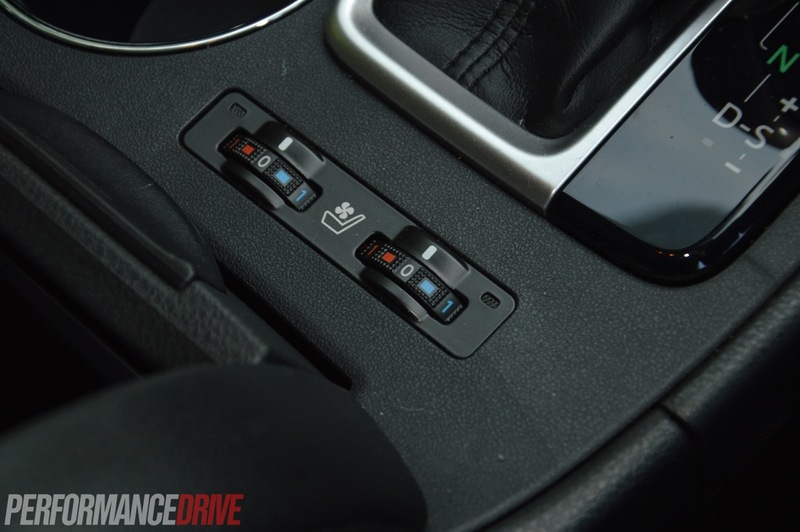 Cruising on the road, the active cruise control isn’t as refined as some. For example, we noticed lengthy reaction times from when a car in front of you moves out of your way, to the time the Kluger accelerates back up to your set speed. Maybe more sensors would help, like what is seen in some of the European counterparts? 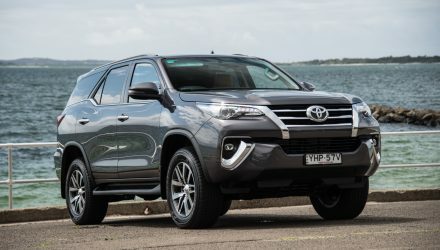 With all of the loveable luxuries and features the handsome Kluger Grande possesses, you might not be inclined to take it off-road too heavily. 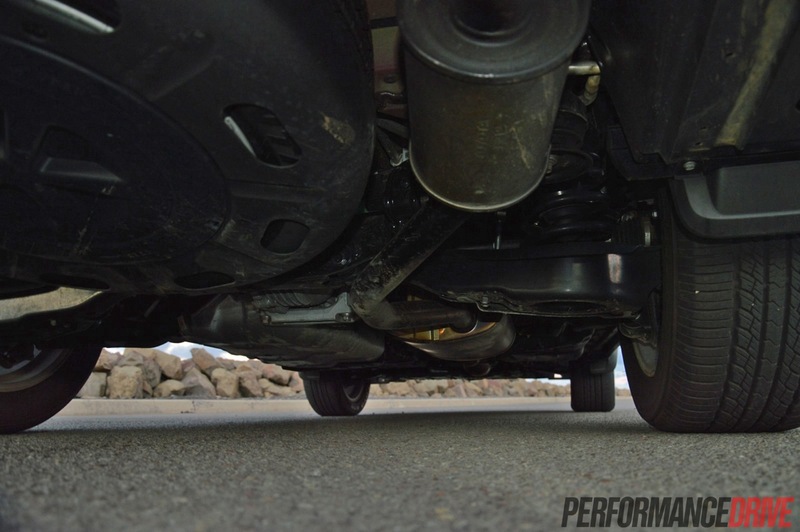 But it is designed to tolerate a little bit of dirt, and the ground clearance is quite decent at 206mm. 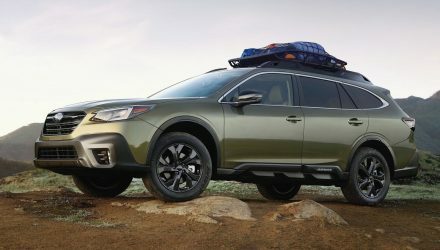 AWD models include standard Dynamic Torque Control for maximum traction and cornering ability, and Downhill Assist Control that automatically controls the brakes to maintain a constant low speed when descending slopes, helping to reduce wheel lock. There’s also a centre differential lock for seriously slippery conditions, such as in the snow or when towing a boat from a wet ramp. Out on the dirt the comfy suspension does well to soak up off-road bumps and ruts with minimal cabin disturbance. The new 2014 Toyota Kluger really is all about family accommodation at a prestige level. 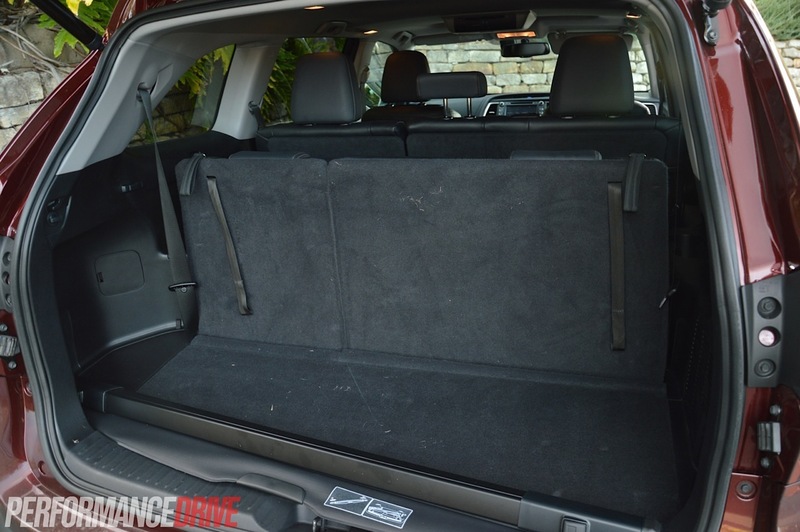 The entire design and space of the Kluger is well thought out for such a purpose. 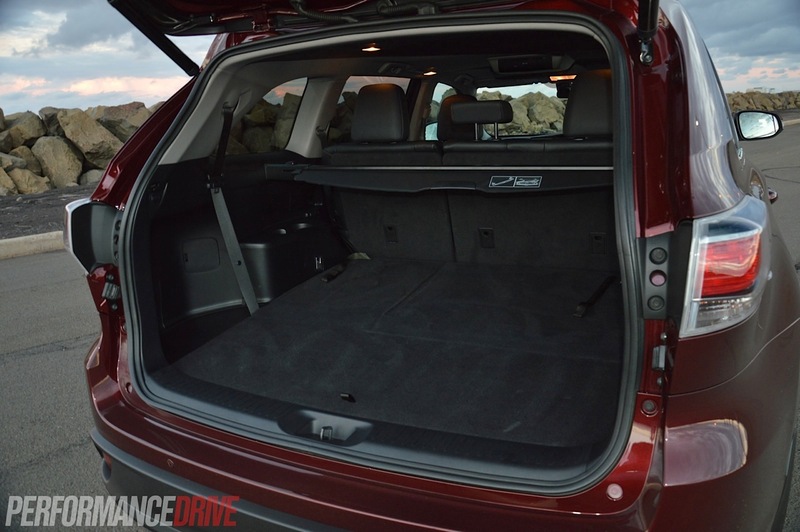 With a huge amount of space to sit, and storage spots everywhere, the entire family will truly enjoy a lengthy drive in the Kluger Grande. 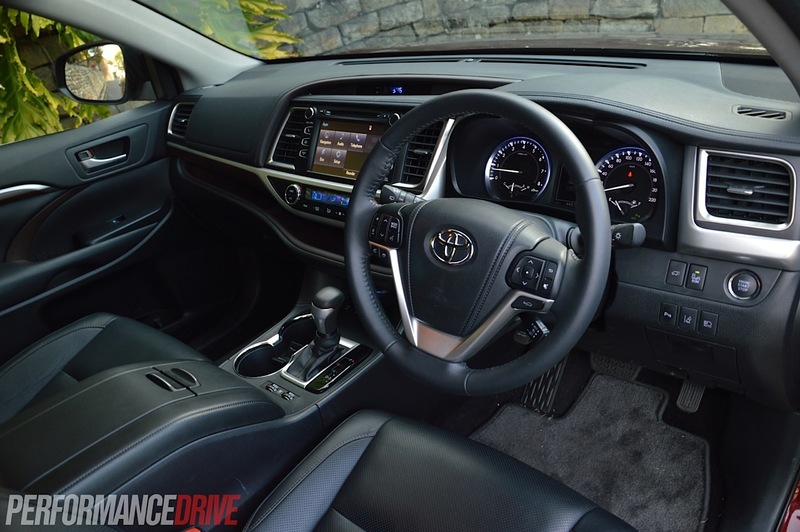 And that’s not the only area where the Kluger performs well; it also has a transmission smooth enough to put any baby to sleep and an on-road presence that is strong enough to fend off some of the more macho and more serious off-roaders out there. It’s also jam packed with features that make life easier. As for the drawbacks, for us, it needs a little more torque. 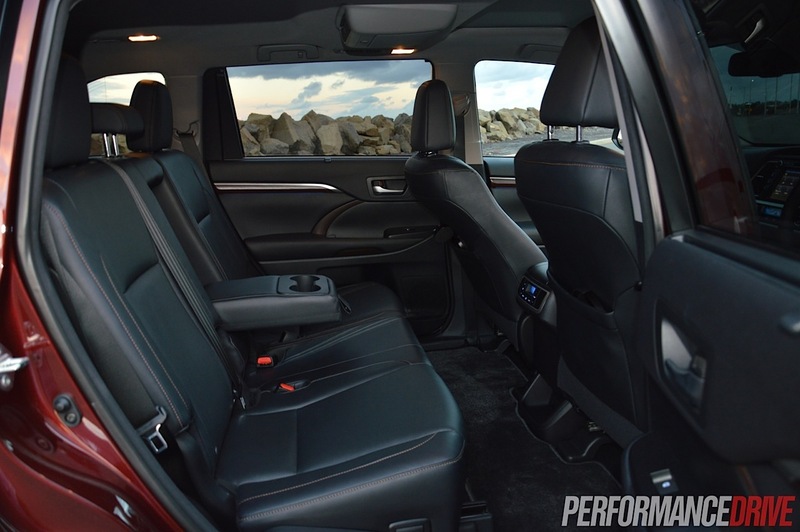 The V6 is a smooth engine that’s happy to rev, but in this mammoth SUV it can feel strained. Other small negatives include the lack of front parking sensors and the central touch-screen usability.